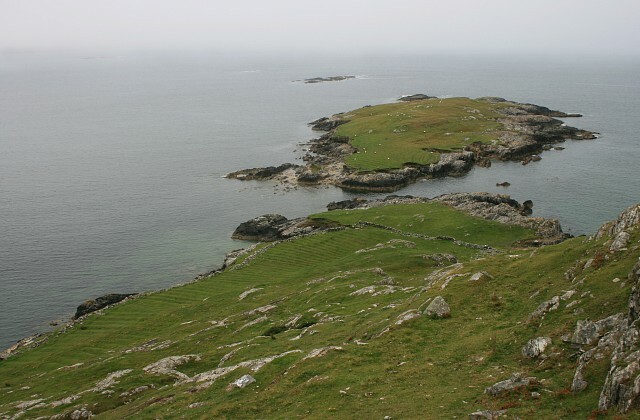 There were sheep - and precious little else - on the small island of Braadillaun. In the lower left of the picture, some furrows can be clearly seen. These are perhaps remnants of lazy beds, an abandoned system of agriculture once common on the west coast of Ireland. See Link for more details. © Copyright Hugh Chevallier and licensed for reuse under this Creative Commons Licence.